When PI Quint Mitchell volunteered to help with an archaeological survey in St. Augustine, he didn’t count on digging up a murder victim. In the nation’s oldest city, Mitchell discovers links to ancient sins, comes face to face with his own past, and unleashes powerful forces that will do anything to keep their secrets—even if it means taking his life. When Mitchell’s friend Jeffrey Poe, St. Augustine’s City Archaeologist, is charged with a brutal murder, Quint must find the real killer while fighting inner demons and the corrosive residue of racial violence dating back to the Civil Rights Movement. Quint uncovers an undercurrent of violence hidden behind the sleepy façade of the historic town. 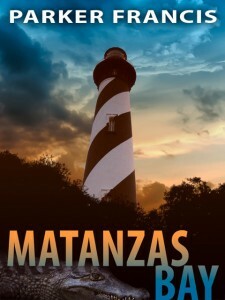 As he learns, St. Augustine was birthed in blood—Matanzas means “place of slaughter” in Spanish—and violence is never far from the surface.